With Black Friday nearly upon us, only a little over a month to go until Christmas, and data showing that 15% of people are planning to use a credit card to pay for their holiday shopping, we’ve compiled a guide to help you choose the right card. This guide is especially meant to help people avoid taking on unnecessary charges, such as high fees and interest rates, that could have been avoided with a different kind of card. Before going into the specific types of credit cards out there, it’s worth pointing out that anyone looking to apply for such plastic should first do a credit check. Knowing your credit score will go a long way in predicting whether your credit card application will be successful - if it’s too low then applying blind can only make things worse. If you’ve accumulated credit or store card debt and are looking for a simple way to pay it all back, a 0% balance transfer card might be the thing for you. By transferring all your debt onto such a card, you end up with just one card and repayment date, making it much simpler to see what you owe and pay it all off. These cards usually come with an introductory offer of a lower transfer fee and long introductory interest-free period, giving you the chance to repay your debt before you need to start paying interest on it. 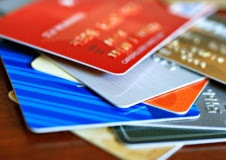 For this kind of card, it’s important not to use it for everyday spending, as that usually attracts high rates and fees. A 0% purchase card is, as the name suggests, meant to be used for purchases. This might be the ‘classic’ example of a credit card; you can use it to cover the cost of a large item, such as furniture or a new TV, or for more regular spending, such as your holiday purchases, as long as you remember to keep your debt in check. The benefit of using this type of card to buy an expensive item (or items) is that it allows you to spread the cost over a longer period; like balance transfer cards, there will often be an introductory interest-free period wherein you can pay off your debt. Another benefit of using a purchase card over a debit card is the purchase protection offered by some providers, which can go beyond the usual credit card protection to also cover theft or breakage of the item within a certain period after purchase. Just remember to pay everything off before the interest-free period ends, as the purchase rate tends to increase substantially afterwards. A 0% interest card combines the 0% introductory balance transfer and purchase offers mentioned above. While the terms will be less favourable than taking out a separate balance transfer or purchase credit card, the combination of both could be ideal for people looking to consolidate their debt while make further purchases, as long as they manage to clear their debt before the respective introductory interest-free periods come to an end, and keep an eye on the fees that may be attached. If you only plan to use your credit card for paying small amounts, such as groceries, a cashback credit card might be for you. It allows you to take advantage of cashback offers, often as a percentage back on your spending every month, so provided you can avoid accumulating interest, you could gain some nice extra cash for paying by card. Just make sure you’re confident you can pay off the balance every month, as the interest charged could outweigh any cashback earned. A prepaid card works unlike any other card, in that it requires you to load money onto it before you can spend it. In this way, it’s not actually a credit card, but can rather be used as an alternative to a bank account, with some prepaid cards allowing you to have your wages paid straight into it. This has the main advantage of letting you pay by card without having to worry about falling into debt, though there may still be unfavourable charges applied (compared with a regular debit card). You can take out travel credit cards in dollars, euros, or indeed pounds, with attractive foreign usage fees to send you merrily away on your holiday or business travels. There’ll be minimal, if any, foreign usage fees, and some travel credit cards even let you take out money abroad without having to pay anything, which would be the only time you could benefit from using your credit card at an ATM. Just make sure to pay off your debt in a timely manner, as the interest on this kind of card can build up fast. If you find you’ve spent too much on one of the above credit cards and have a bad credit score as a result, or if you have no credit score from never having had any credit (which can be just as bad), you could consider a credit repair card. Use it only for small purchases that you’re sure you can pay off every month, especially as the APR (annual percentage rate) on these cards tends to be quite high, and your credit score should start to improve. If you’re still not sure how to choose, check out our guides and compare specific credit cards to see what benefits different providers offer.